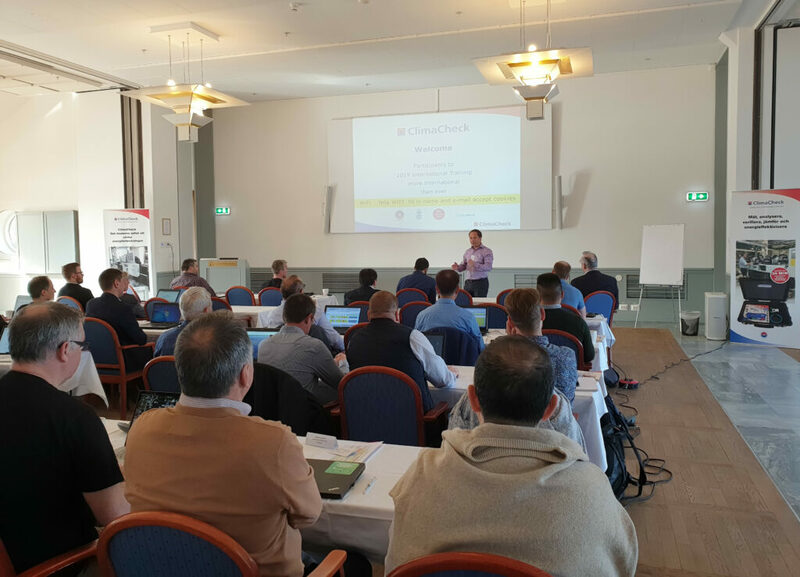 Today we are welcoming engineers, technicians and doctors from 14 different countries that is going to participate in ClimaChecks yearly international training. There is going to be a variety of sessions, we are going to work our way through the basics in installing ClimaCheck to optimisation and discuss different cases. We are also happy to have Jörgen Rogstam from EKA – Energi och kyl analys ( http://www.ekanalys.se/ ) that is going to have a guest session about CO2 technology and Miguel from Chemours that is going to talk about using ClimaCheck when doing retrofits. Welcome! we are looking forward for the coming two days!